Have you ever wondered what your ancestry tree may look like when fleshed out with gemstones corresponding to the birth month of family members? Or maybe you would like to have the family altogether without any bickering and fighting… just peace and love. Perhaps having your tribe all together in a commemorative ornament is what you crave. Your Friends or Family Tree of Life Ornament will be created using genuine gemstone chips that correspond with birth months of individuals you would like in the Tree. Each tree is made to order, just for you. These whimsical trees would make a wonderful gift for your Team Captian, Nana, Mom, favorite Auntie, or even yourself. They are the perfect new Grandmother or Grandmother of the Bride gift to see the family she has created, or for the genealogy buff to see the family history in one place. The trees shown in this listing were all custom made for clients per their design request, they are only an example. Your Tree Of Life Ornament will look very different, as each Friendship circle or family is unique and special. 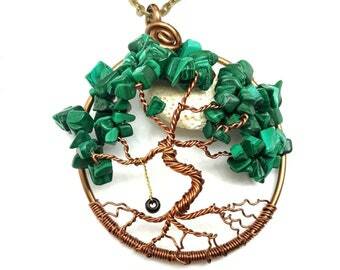 Foliage/leaves are made from Gemstone chips that represent the birth month. Please include other special instructions you might have such as birth order. 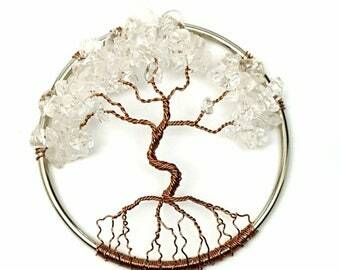 Your tree-of-life will look different, as your color choices will vary, and the birth months will differ. 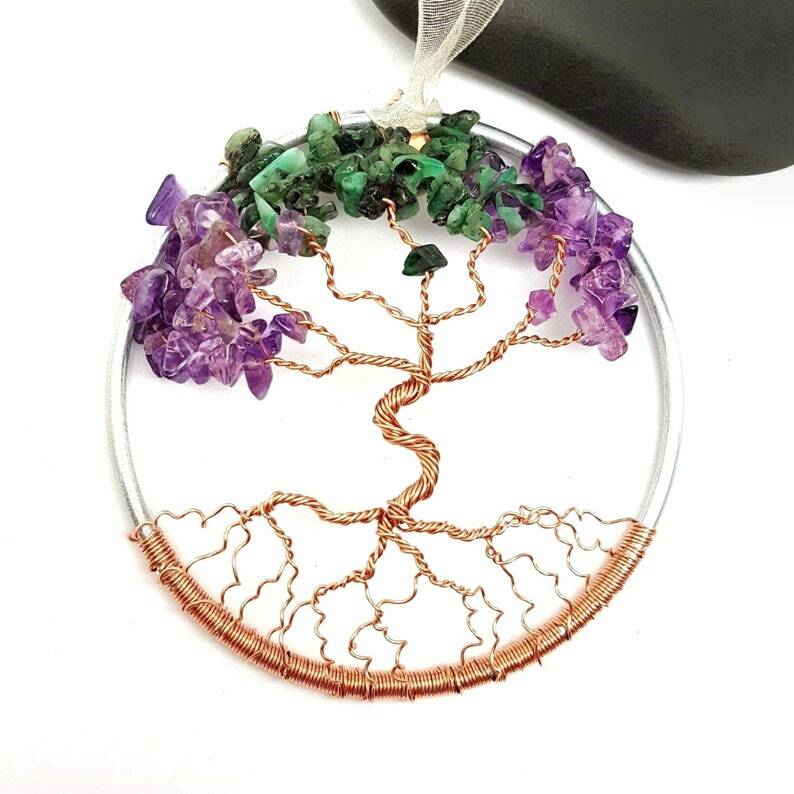 The Family Tree of Life you design will truly be unique, and very special. Apply today to become a VIP Tree Club and enjoy member-only savings of 30% on your first order!